All purpose, fast curing foam filler with patented Genius Gun trigger mechanism for one handed application. 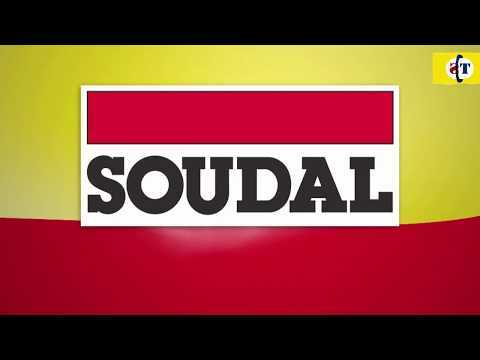 Adheres to all common building materials. Can be cut, sanded, plastered and painted after full cure. Reusable for up to 6 weeks. 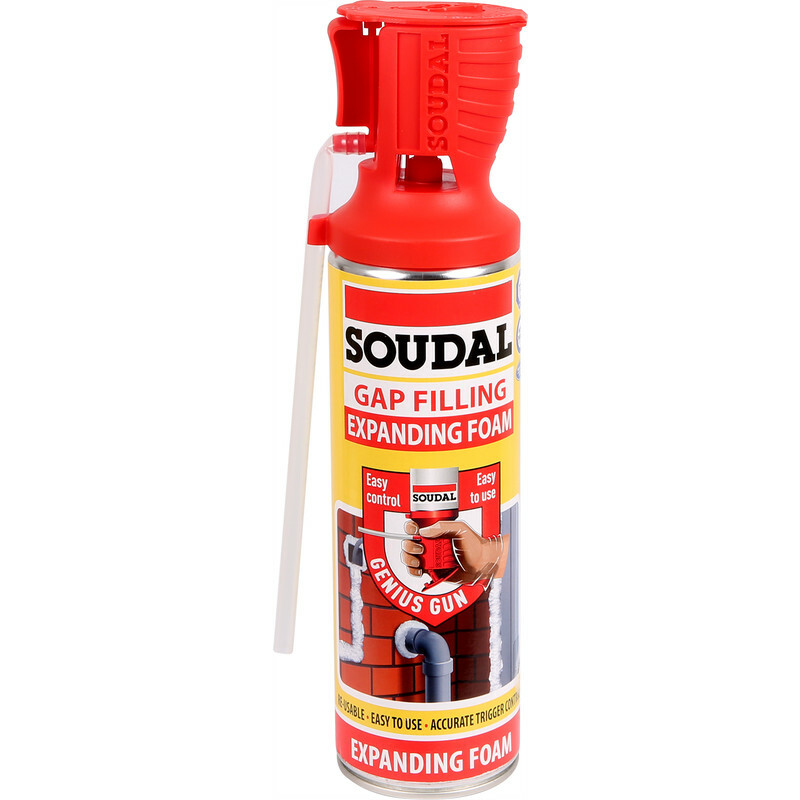 Soudal Gap Filling Expanding Foam 500ml is rated 4.6 out of 5 by 58. Rated 5 out of 5 by Fulvia from So easy to use The pistol grip is joy to use with a bonus of the plug to seal the tube for further use. Firmly secured a window frame that had loosened after some building modifications. Rated 4 out of 5 by Rand33 from Does exactly what it says on the can. Simple to use, slightly more expensive than the other brands but the lid/cap is designed well and doesn’t dry up allowing you to use it several weeks later. Rated 4 out of 5 by Timmytoby from Good stuff Used this product a number of times now, a bit more expensive than just standard cheap foam but you really can re-use the can!! Rated 5 out of 5 by RickyDooDah from This is great, have stopped using a gun The trigger on this works very well and allows you to use it over a number of weeks. I’ve stopped using gun grade for most jobs now. Rated 5 out of 5 by Dave the decorator from Efficient gap filling product This product is invaluable in filling those awkward hard to reach areas,especially the gap around replacement upvc window frames that installers 'hide' with plastic trim! Rated 5 out of 5 by Home Decor from Professional grade foam. This is a professional grade foam in a can. Easy to control with an end cap to put on when you have finished all ready for the next use. Quick drying great for filling cracks and voids. I have baught several cans of this over the months and I shall continue to buy more. Rated 5 out of 5 by Parthad from Terrific stuff Superb stuff for a wide variety of use.. it's no less useful as a versate adhesive. Used it to lay down plywood over timber subfloor... Rock hard on curing, no joint squeaks, some insulation benefits as well..would be there until 2050 !!! Only issue is handling- the nozzle should be improved with an option to stop foam oozing out.